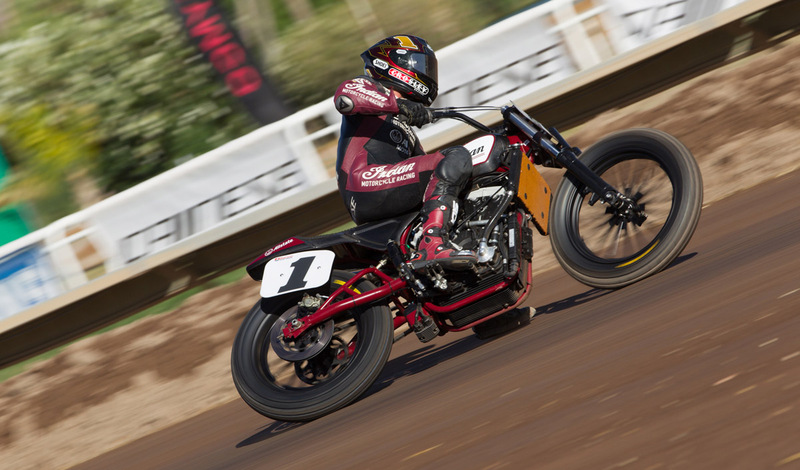 Indian Motorcycle has started the 2018 American Flat Track season where it left off in 2017: with three wins in the first three races. 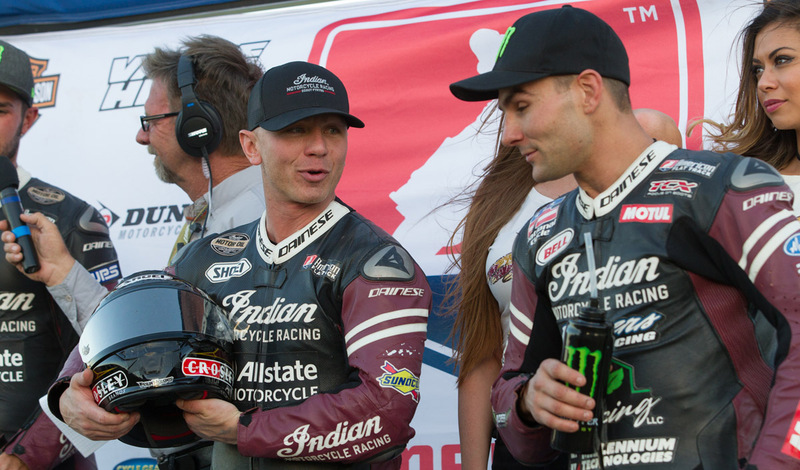 And while its ‘Wrecking Crew’ factory team of Jared Mees, Bryan Smith and Brad Baker may not have quite the dominance of last season despite Jared Mees’ two wins in three races, Indian-mounted privateers are certainly picking up the slack, as Kenny Coolbeth Jr. proved when he took the win at the controversial Atlanta round after Mees’ disqualification. 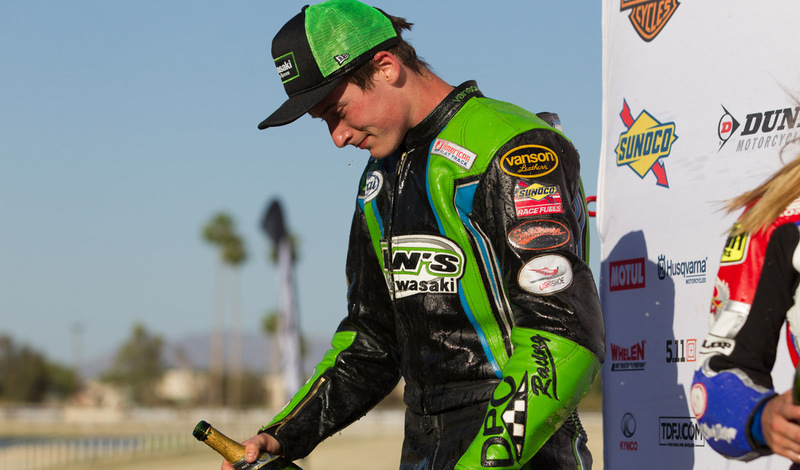 Runner-up spots in each of the three races have gone to other brands, including JD Beach and Yamaha at Daytona, Jeffrey Carver Jr. on his Harley-Davidson XR750 at Atlanta, and Briar Bauman and Kawasaki’s 650 Ninja in Texas last weekend. 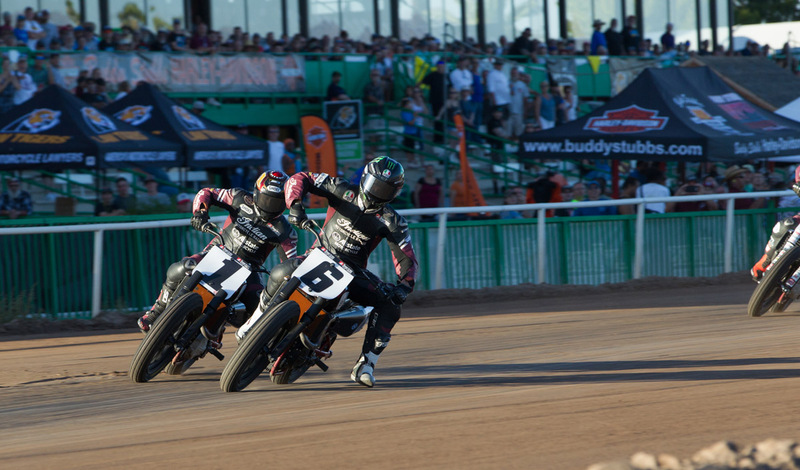 The first Mile race of the year at the Law Tigers American Flat Track Arizona Mile presented by Buddy Stubbs Harley-Davidson on Saturday, May 12 gives riders a chance to measure their performance against each other to see who has gone the extra mile in the off-season. 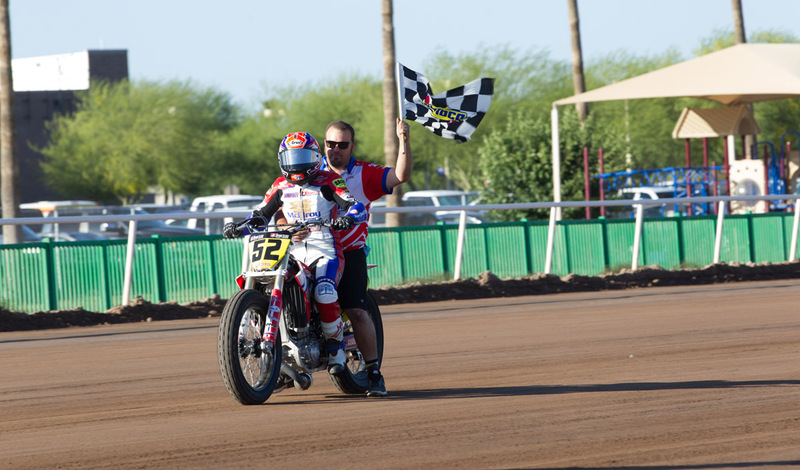 At last year’s Arizona Mile, Indian’s Bryan Smith beat teammate Brad Baker to the line in a thrilling photo finish, with Indian Scout FTR750-mounted Jared Mees third. Harley-Davidson, with a revamped factory team for 2018, has factory riders Sammy Halbert, Brandon Robinson and up-and-coming sensation Jarod Vanderkooi ready to battle their long-time rival Indian. 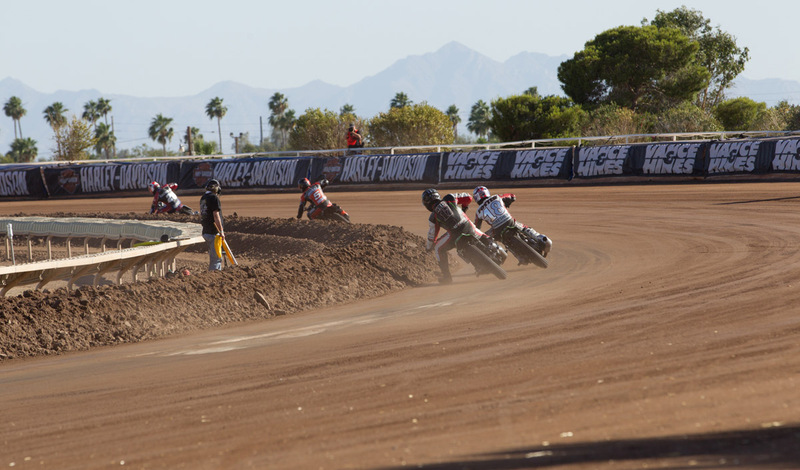 In an equally thrilling finish in the AFT Singles class at last year’s Arizona Mile, Shayna Texter beat Tristan Avery by a wheel, the crowd on its feet for the entire race in what went down as one of the best AFT Singles races ever. 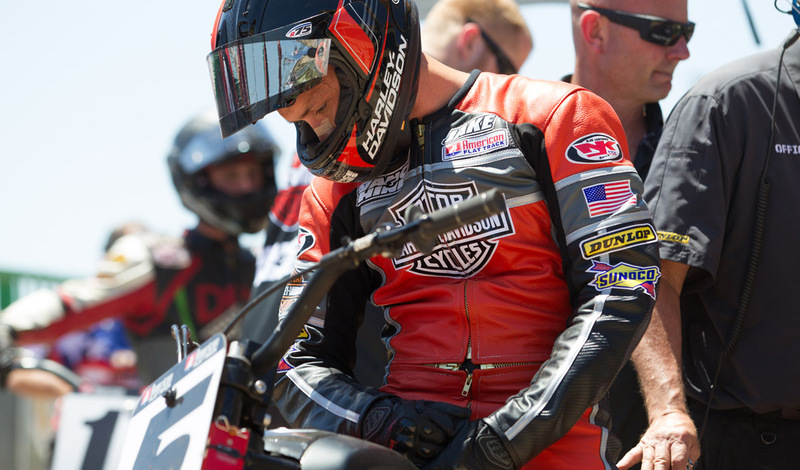 This year, Brandon Price of White Hall, MD, is bringing his AFT Singles point lead into the Arizona Mile with Texter looking to repeat at a race track she finds plenty challenging and entertaining. 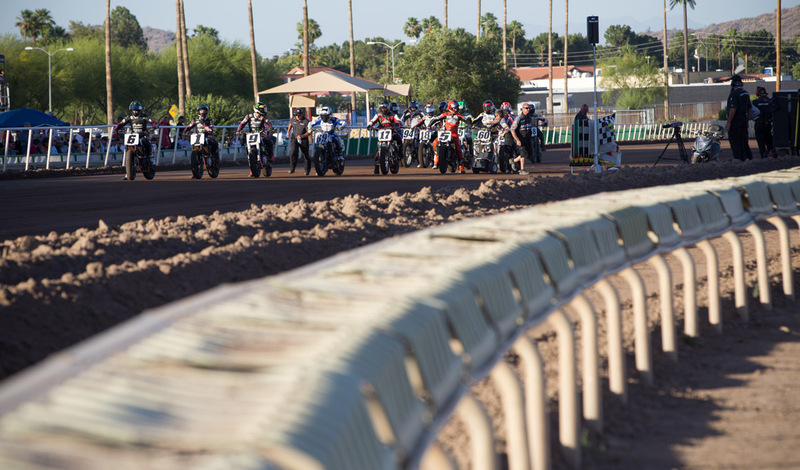 Phoenix's own Buddy Stubbs Harley-Davidson has been named the presenting sponsor of the 2018 Law Tigers American Flat Track Arizona Mile presented by Buddy Stubbs Harley-Davidson set for Saturday, May 12 at Turf Paradise in Phoenix. 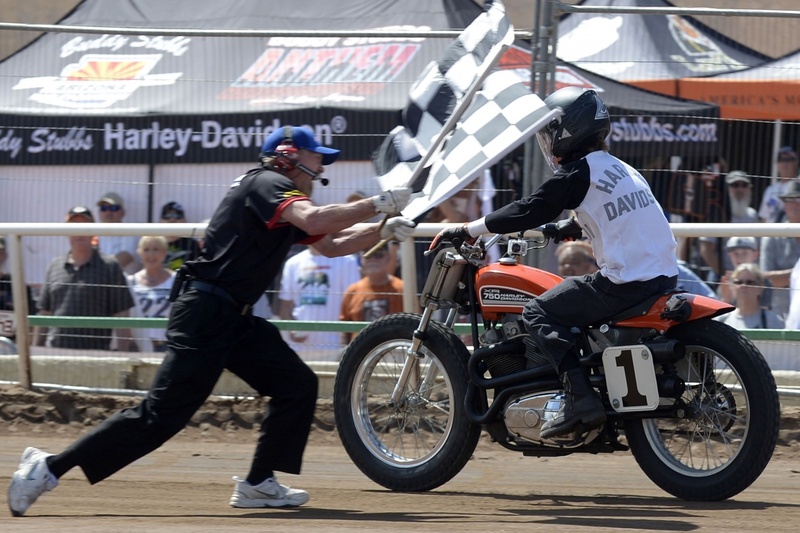 "We are excited and honored to have Buddy Stubbs Harley-Davidson as a part of the event once again, and pleased they've become our presenting sponsor," said race co-promoter Chris Morgan. 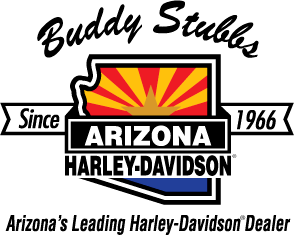 "Buddy Stubbs Harley-Davidson has been there since the start with our first race in 2016, and they play a key role in helping to promote the Arizona Mile". 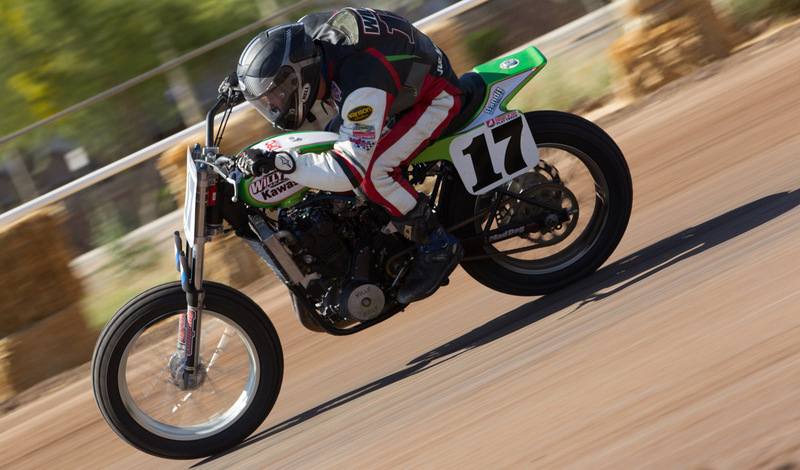 As if the American Flat Track racing on the mile track at the 2018 Arizona Mile weren’t exciting enough, this year’s event will feature a 70s/’80s Throwback theme. Break out your best Evel Knievel t-shirt, dress up in 70s/80s costume and boogie to a live 80s band at the Throwback Party which will take place at the Throwback Pavilion on the eastside of the main grandstand at this year’s race at Turf Paradise. In addition to the Throwback Party which includes 70s and 80s costume contests with prizes, a vintage motorcycle show featuring some of the most unique bikes of the era will take place in the pavilion. 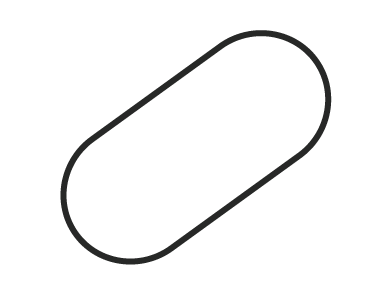 Everyone in attendance at the race is welcome. So go get your costume together and we look forward to seeing you at the Throwback Party at this year’s race on Saturday May 12 at Turf Paradise. Lots of ticket options from general admission to VIP are available for this year’s event. 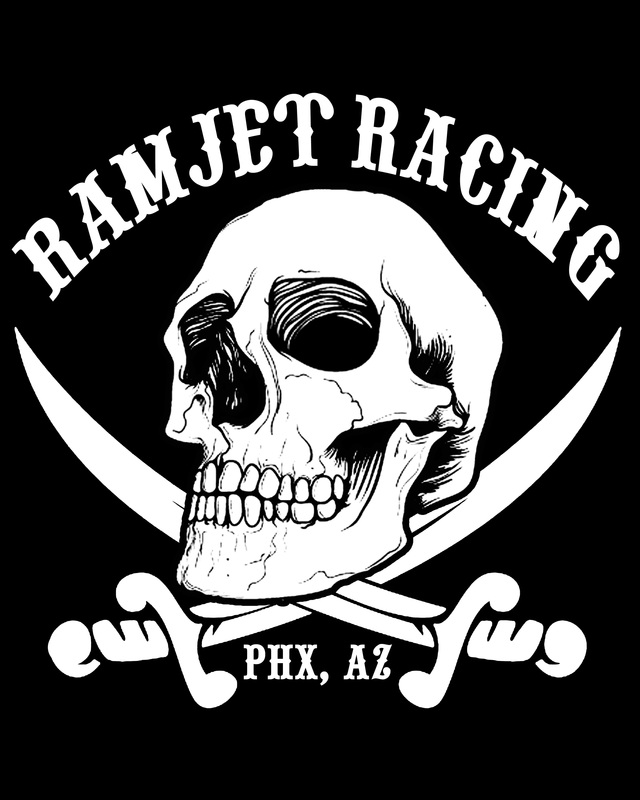 Law Tigers are once again getting behind American Flat Track and TAG Events with their partnership for the upcoming Law Tigers American Flat Track Arizona Mile at Turf Paradise May 12, 2018. 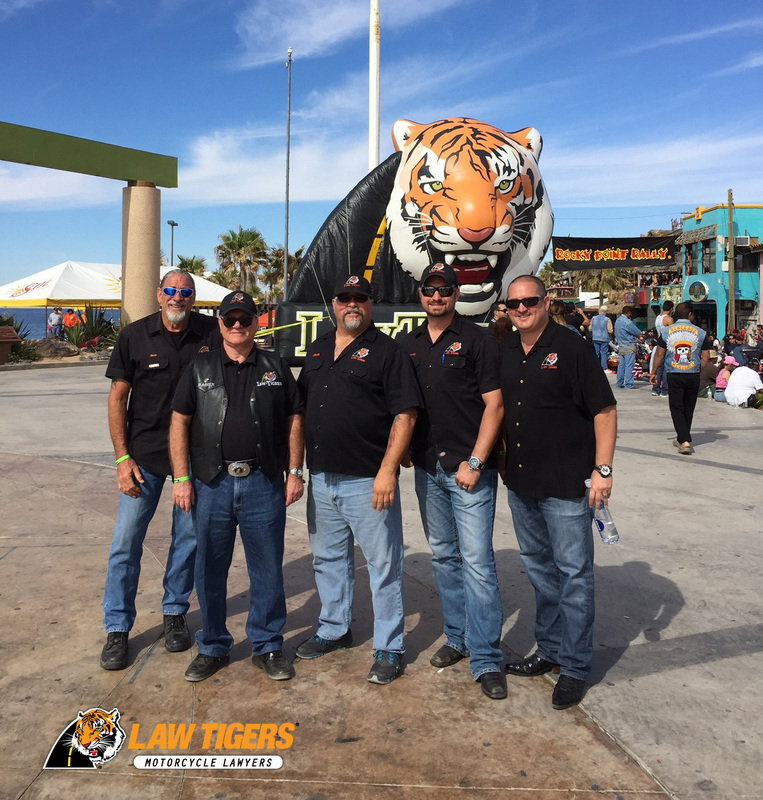 Law Tigers, based in Phoenix, has joined the ever-growing group of sponsors of the event by lending their name and becoming title sponsor once again, of the 2018 race. Law Tigers COO Ari Levenbaum has been a great supporter of American Flat Track racing with his involvement in the Pomona Flat Track Finals and the Calistoga events. 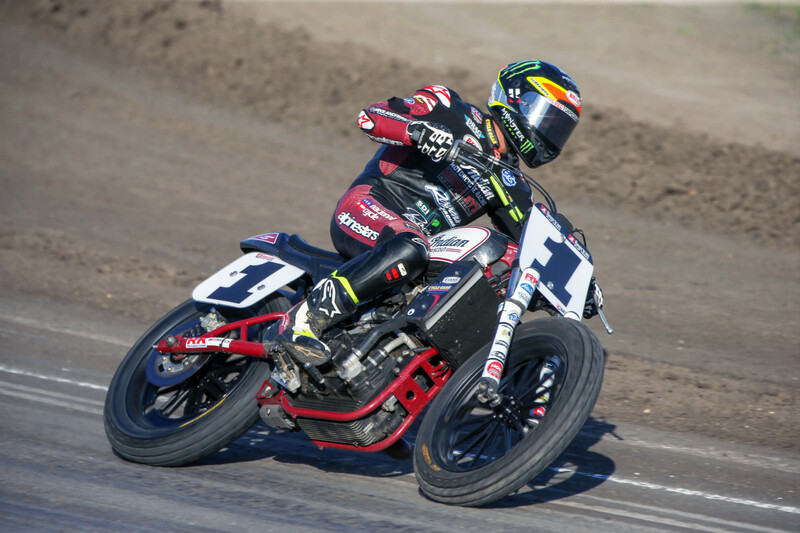 "For years, the Law Tigers were proud to be the title sponsors of the American Flat Track race in Pomona. With the loss of that venue, the promoters and I were eager to continue our partnership and tradition of putting on national championship flat track races. 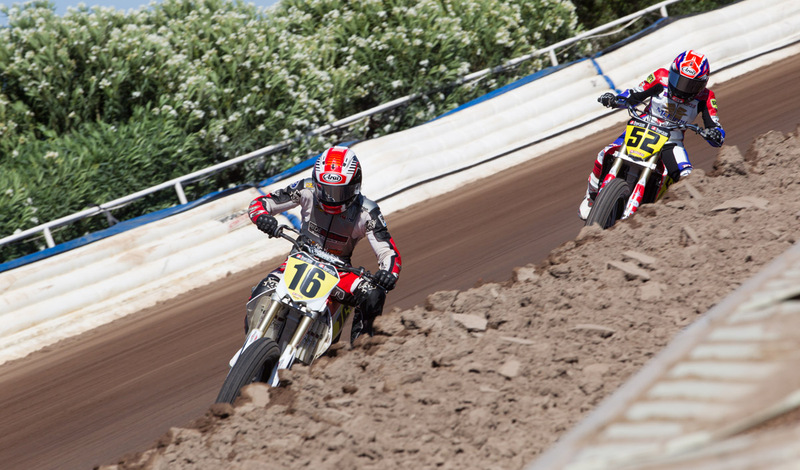 As riders and racing enthusiasts, we felt that it was important to find another venue that both the flat track racers and the fans would enjoy," said Ari Levenbaum. "Bringing a race to Arizona, which is National Headquarters of Law Tigers, just made sense. 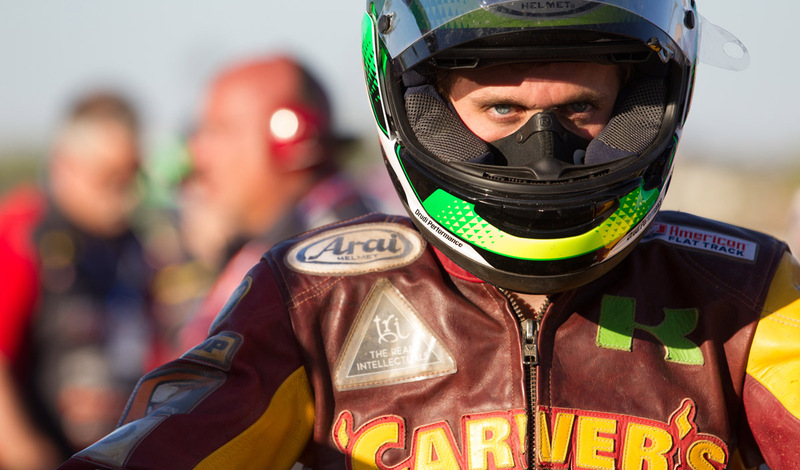 We love supporting motorcycle racing and we are committed to seeing the sport grow and flourish. The Law Tigers welcomes the opportunity to once again be the title sponsor of the Law Tigers American Flat Track Arizona Mile at Turf Paradise, an annual event that riders and race fans can be proud of! We will be actively promoting the event through local motorcycle shops and at all upcoming motorcycle events. Feel free to pick up a flyer at your local motorcycle shop or stop by our booth at a local motorcycle event." Make A Weekend Of It! Spend the weekend at the beautiful host resort with the racers at an incredibly DISCOUNTED rate. Click on the Tapatio Hilton link above to get the Arizona Mile rate! The Pointe Hilton Tapatilo Cliffs is a 200 acre resort with breathtaking views, incredible water features and onsite golf course.